These items are traditionally given to new homeowners with each holding their own special meaning. Many of these objects are rooted in a variety of cultural customs from around the world. It’s safe to say that the customs of the old country have made its way to the new country here in America. If you’ve always wondered why an item was given and what it meant, here’s a handy reference list for you. There’s not one way in which you can give any of these gifts. Each way is unique and has its own meaning to interpret with others. To make each a little more special, wrap in a ribbon or raffia and cover jar lids with fabric or lace. How about tuck in a handwritten note with the meaning of each item given. By just making an appearance and introducing yourself can mean the world to your new friends next door. As for agents...this is a great & simplistic closing gift to give to the new homeowners! 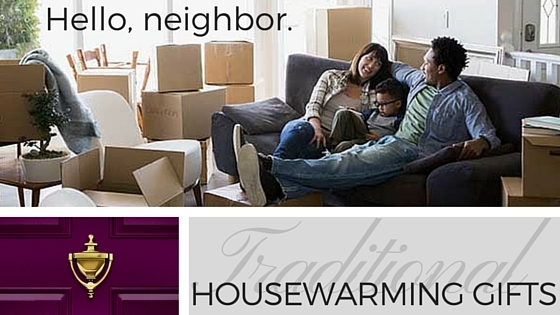 To keep up with our other, unique housewarming gift ideas – check in with us on PINTEREST!